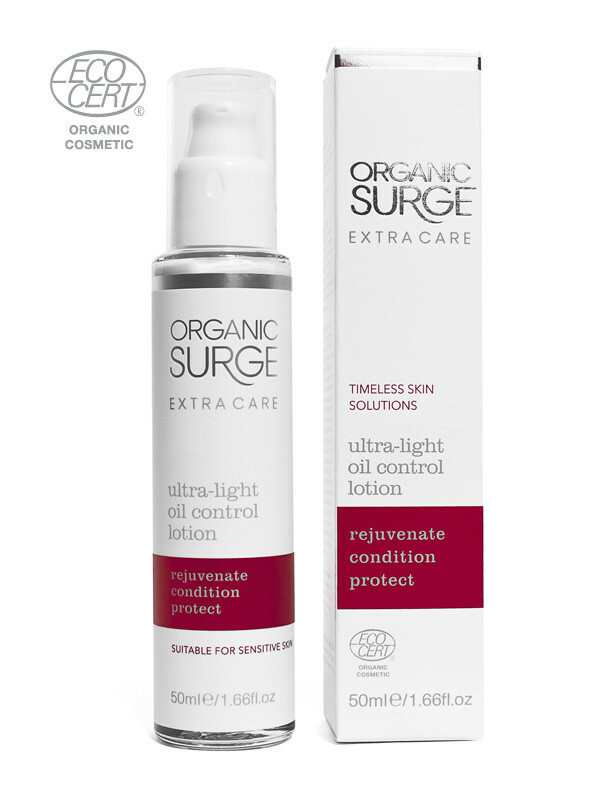 The award winning Organic Surge Extra Care range has been designed specifically to offer timeless skin solutions. It provides radiance, and restores skin that needs it most, whilst ensuring protection for the future. This luxurious range (up to 92% organic ingredients) is packed full of skin loving essential oils that rejuvenate and condition. Here are few products I like the most. Organic Surge Brightening Hot Cloth Cleanser, 150ml: Harnessing the highest quality essential oils and moisturizers, to care for, cleanse and fully rejuvenate skin, this cleanser gives a natural glow to the complexion and restores the natural balance. 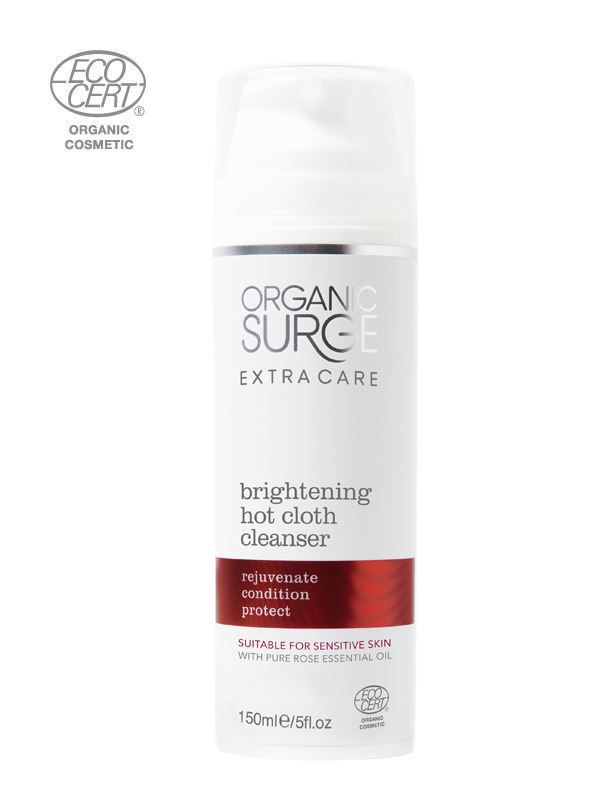 It is simply massaged over dry skin to loosen and dissolve everyday grime and then wiped away with a cloth and hot water. The massaging action will stimulate blood flow in the skin, giving a natural glow to the complexion, enhanced by the gentle exfoliation from use of a cloth in the cleansing regime. Enriched with Damask Rose Oil to stimulate and hydrate skin cells, Shea Butter to naturally moisturize and Orange Peel Oil to naturally rejuvenate the skin. 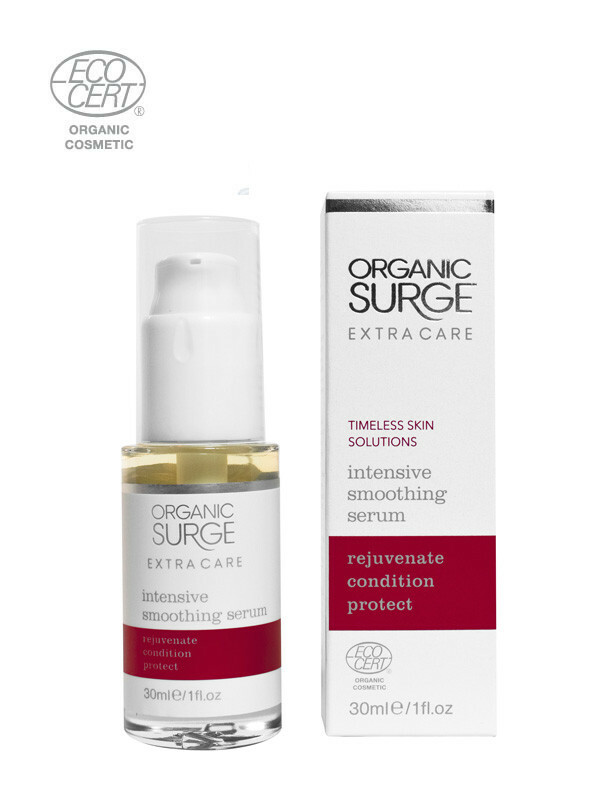 Organic Surge Intensive Smoothing Serum, 30ml: Intensive smoothing organic serum that restores radiance to dull and uneven complexions. An excellent way to tailor your skin’s varying needs, whether it is too dry, or too oily, it glides on with ease and won’t make skin oily if you use a tiny drop as directed. Enriched with Madagascan Para Cress extract, an ingredient chosen because of its known effectiveness at improving the appearance of wrinkles by smoothing the surface of the skin and protecting it from environmental damage. The rich formula used in this serum melts into the skin, leaving it soft to the touch, whilst soothing Aloe Vera calms any inflammation or skin sensitivity. 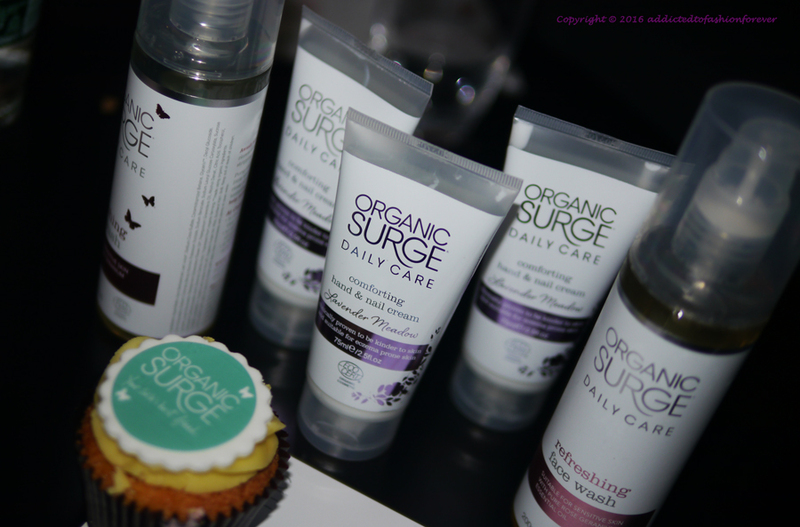 The Organic Surge range has something for our hands and bodies as well. Did you try any of the products ? 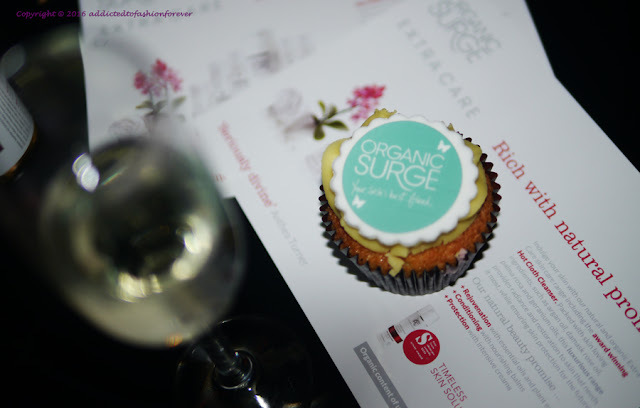 What is your opinion about Organic Surge cosmetics ?